The most recent horror, scary stories, and creepypasta releases from Doctor Horror, presented by Chilling Tales for Dark Nights. Disclaimer: The content on this page is hosted by YouTube on its servers, and was produced by the respective channel to which this page is dedicated. Its presence on this website is made possible through YouTube’s API and via embedding, and none of the content is hosted on our servers. Chilling Entertainment, LLC is not responsible for, nor takes any credit for, the content embedded on this page, and is displaying it for informational purposes only. In need of even more nightmare fuel? Check out the official Chilling Tales for Dark Nights channel, and the Simply Scary Podcasts Network today! True horror stories, unsolved mysteries, paranormal tales, and creepypasta readings. Welcome to the channel of Doctor Horror! 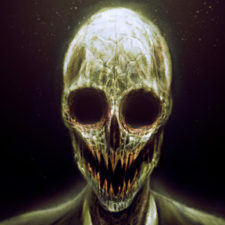 This a collection of true scary stories, paranormal stories, and creepypasta stories that I find particularly creepy. Please feel free to contact me at anytime if you have a story that you think is great and you want me to read it and put it to video. Sleep well!